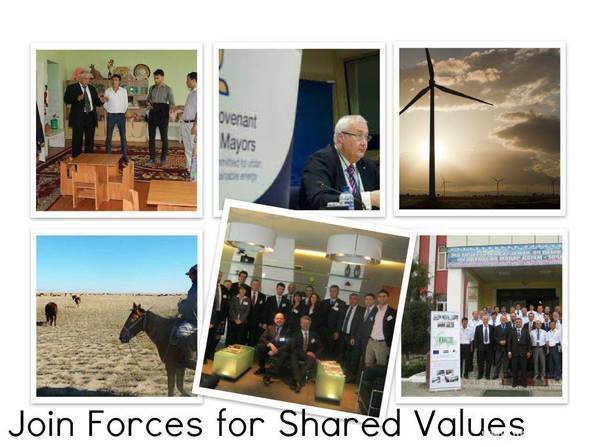 Bringing the Covenant of Mayors to Azerbaijan, Belarus, Kazakhstan and Tajikistan. A commitment of mayors to reduce the CO2 emissions by 20% by 2020 through the implementation of Sustainable Energy Action Plans. Covenant of Mayors going East – Supporting the Participation of the Eastern European cities and Central Asian Cities in the Covenant of Mayors. The DACO aims to support several local authorities in Eastern Europe and Central Asia to acquire a common methodology to correctly monitor, evaluate and reduce their energy consumption and CO2 emissions.